Mr. Murphy joined Hammond Group’s Board of Directors in 2011 and was elected President and Chairman in 2013. Prior to joining Hammond, Mr. Murphy spent 30 years at Rocketdyne, a division of the Boeing Company, developing rocket engines and deep space power systems. In 2007, he became the founding CEO of SolarReserve, a company which leveraged the high heat flux technologies used in rockets into a concentrated solar thermal facility with molten salt energy storage. Mr. Murphy received a Master of Science in Systems Management from the University of Southern California and a Bachelor of Science in Aeronautical and Astronautical Engineering from Purdue University. He has several patents, a Silver Snoopy award from the Astronaut Corps, and received the Outstanding Engineering Award from Purdue University. 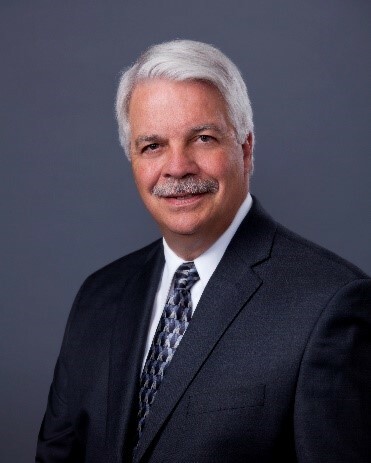 He is an Associate Fellow in the American Institute of Aeronautics and Astronautics and serves as a board member on the Indiana Chamber of Commerce and Battery Council International. I started at Hammond in 1975, sweating through Indiana summers, operating a 2000°F silicate furnace and packing lead oxide into 50-pound bags to earn money for my college tuition. My father, Peter Murphy, was the Hammond Plant Manager and he had decided to teach me a few life lessons, the most important being the value of “Hard Work”. So, he gave me, and a few of my friends, summer jobs in the oxide plant, saying with a hint of paternal malice, “Son, don’t worry if you can’t finish your engineering degree, you can always pack bags for me 8-hours a day.” Needless-to-say, I was highly motivated to complete my studies. I graduated from Purdue in 1980 and headed out to my dream job in California to work on the Space Shuttle Main Engine. Despite being in California and working on rocket engines, I always stayed in touch with Hammond and even helped solve some technical issues back in the 1990’s; but in my wildest dreams I never thought I’d permanently return to Hammond. Life is full of surprises. My career at Rocketdyne was “out-of-this-world”. We designed and developed rocket engines, the Space Station power systems, and other cool stuff with high heat fluxes and power densities. We even built a solar thermal energy system under government contract that I commercialized in 2007 as SolarReserve. That organization is going strong today, but I had become fascinated with the need for energy storage and the potential for lead batteries. Hammond’s Chairman, Peter Wilke, asked me to join the board in 2011 and I transitioned to become its CEO in 2013. My father passed away more than 30-years ago, but I think he’s having a fatherly last-laugh now that I’m back at Hammond and still learning the value of hard work. I think our biggest challenge is to find the balance between running an efficient business while simultaneously devoting the necessary leadership and capital to advance lead battery performance. Resource sustainability has become a deep, even spiritual value for most of the world, but we can’t stop there. While we enjoy a huge advantage in product safety and in-place sustainability over lithium-ion technologies, we need another level of performance gain, which I believe is within reach, to capture these emerging markets. We need to take lead batteries to the next level of performance or we’ll not only be commiserating over lost markets, we’ll also be paying the economic and environmental cost of the “regrettable substitution” of lithium ion. BCI’s most valuable role is offering a united and coherent voice to our industry. That’s why the Advancing Lead Batteries Communications Initiative (ALBCI) is so crucial to the future of our industry. We need to change the dominant and discriminatory social narrative regarding lead batteries. We know there are incredible opportunities in vehicle electrification and utility scale electrical generation storage, but we’re fighting a mindless mantra: “lead bad, lithium good”. BCI, along with notable and respected conservation groups, need to tell the cohesive story of our industry’s remarkable achievement of a worldwide, fully-developed closed-loop recycling. Millions of tons of an irreplaceable natural resource saved every year; a cradle-to-cradle sustainability without peer or precedent! I’m convinced that our industry, working together, can become the preferred technology in the storage of intermittent renewable energy, the arbitrage of coal-based power generation, the elimination of natural gas peaker plants, and the hybridization of the automobile. These are incredibly important opportunities and I think the next generation is ready to tackle them, so let’s focus on attracting young people to our sustainable solution industry, improve our performance and extinguish the mindless mantra with systems thinking.